How did you feel crossing the line of your 1st Ironman in such an impressive time? The time didn’t really register, I just felt an enormous sense of relief and excitement, a weight lifted off the shoulders to have finished. In December 2014 I ran my first marathon, and around March 2015 decided to try my hand at the longer distance tris with the ridiculous idea of completing the Busselton IM in December 2015, 9 months away. After stumbling my way through a Sprint Tri I realized I needed someone to guide me on the journey, as simply going for the odd swim/bike/run was not going to cut it. I joined up with Shem and he got me started on a training programme that included an Olympic Distance and a Half Ironman as stepping stones to the final the Ironman. The commitment and training load was substantial but manageable, considering I have 3 young sons under the age of 7 and a demanding job, so to cross that line and achieve it was a great sense of accomplishment and justified the sacrifices and commitment of the previous year. To be honest I also wanted to see some mates finish who weren’t too far behind, so I took a minute or two to enjoy the moment and then grabbed a bottle of water and went back out to the finisher chute to watch and cheer. I didn’t have my own family there with me, but it was nice to see people stopping to hug their family and see the tears flowing. Such a positive and uplifting atmosphere! The low point was definitely the swim – it all went wrong. The combination of a high sugar breakfast, salt pills, Gu, and nerves mixing in my stomach did not go well and started churning about 500m into the swim. Further I put myself right in the middle and too far forward at the start and with a mass beach start I got swum over and took a few elbows and just couldn’t find a rhythm or get my breathing going. I had trained for the swim in the perfectly still warm waters of Singapore’s pools and had simply not put the hours in training in a wetsuit in the open ocean. By 2km the wetsuit had cut a hole in the back of my neck. Shem had warned me all along that I had to put the hours into the swim as it is my weakest leg, but its easy to focus your training on the things you are better at….. certainly a lesson for the future. The one upside of having a bad swim, is that things can only get better. I started the bike towards the back of the pack and spent the rest of the bike overtaking people, which was a a morale booster. My race got progressively better throughout the day and I see the bike and run as a high point. Once on the bike I gave myself a good solid talking to, from there I was able to rely on my training, put my head down, get some fluids and food in and start ticking off the km’s. Stomach had settled once on the bike and I was away. By the time I came off the bike I was loving it, I knew I had my favorite leg to come and was feeling good. I had to do everything I could to stick to my run plan of taking it easy for the first 5km irrespective of how I was feeling, from there I could adjust pace if I wanted to. 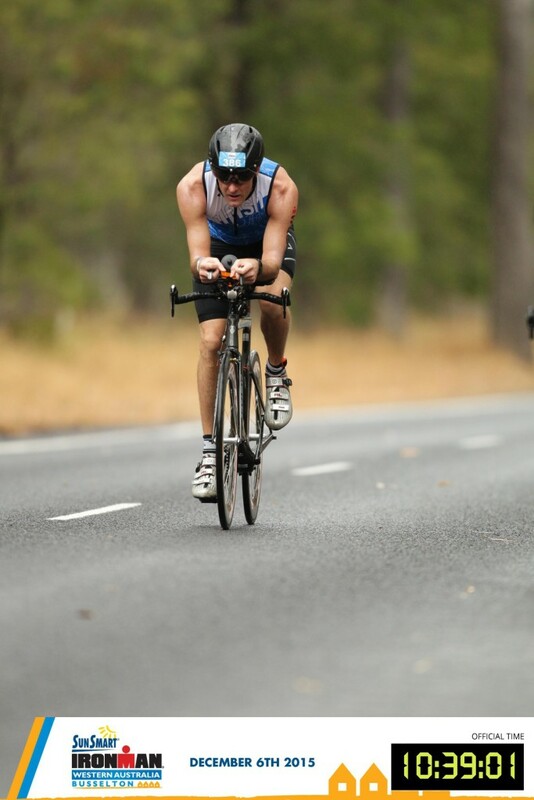 Ironman is unique in that you can’t just get through it if you are a fit person, like you might be able to do with shorter distance events and even marathons to some extent – the distances are just too extreme. The physical training is critical as it prepares your body and mind for what’s coming. It was comforting to get on the bike and know I’d been doing regular 160km rides, know what pace I could sustain and exactly how it’s going to feel. Then coming off the bike with confidence knowing what it feels like to run on tired legs, it made it all feel like just going through the motions on the actual day. I did the Bintan 70.3 in the lead up which I was really nervous about. A 70.3 in itself seemed like an un-achievable distance when I started this journey, but having done better than I expected (Shem: Peter did it in 5: 06 in the tropical heat!!) it gave me great confidence that my training was taking me in the right direction and my body and mind were able to do things that I previously thought impossible. At which point did you realize you could do well and where/ what did you draw your strength/ resolve/ focus from to dig deep and go for it. I didn’t time my swim, so I didn’t really have a good feel for exactly where I was time wise and to be honest my goal was to finish without blowing up and having to walk the Marathon, but as I came into T2 I knew my bike time was about where I wanted it to be, so my chances of going sub 11 were good if I could pull together a solid Marathon. The Marathon was a 4 lap course and as I set off someone had written in chalk on the ground something like “4 laps to go, do one for each of us”. I know it wasn’t written for me specifically, but I used it anyway. 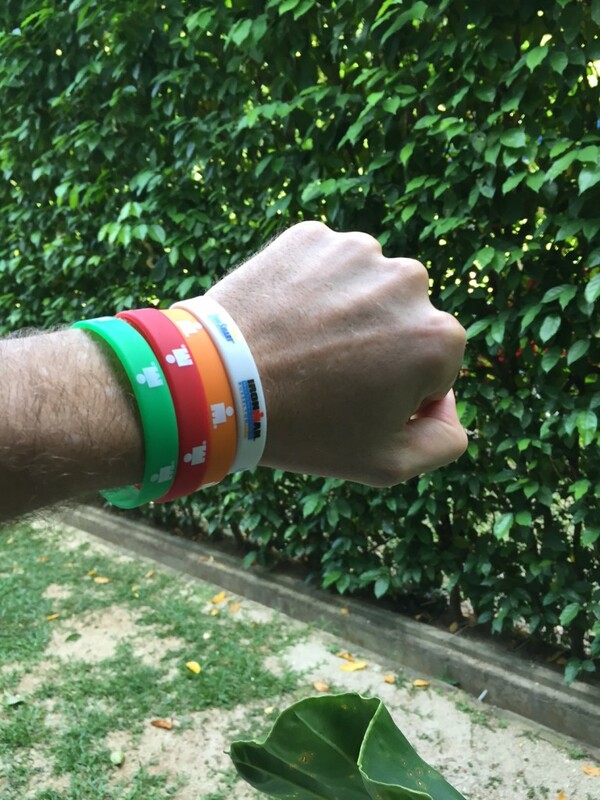 At the end of each lap they give you a little colored wrist band, so I knew that I had to get one for each of my 3 sons and the last for my wife who’d given me the time and support to make all this happen. As the run developed, I also figured each kid wouldn’t want their lap to be slower than their brothers and they certainly wouldn’t want their lap to be the one that Dad walked on. Mentally that helped me build into my run and by the time I was two laps down I knew nothing was going to stop me from there and I was able to maintain pace to finish. Shem had planned my training in different phases throughout the year and the best thing about them was they were flexible. I travel a lot for work, so significant amounts of training were done in hotel gyms and I had the option to swap different sessions around to meet travel and family demands. The programs initially started with sport specific strength sessions to build a solid platform that could withstand the larger endurance sessions that came in closer to race day. 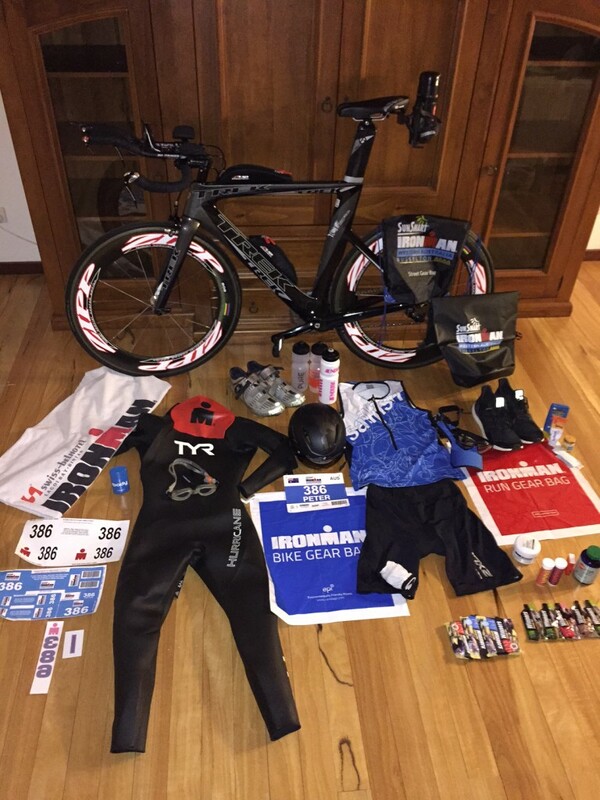 The phased approach also kept me focused on the task at hand, the immediate and mid term goals, without having to carry the enormity of an Ironman around for the whole 9 months. The more I trusted and committed fully to The Method, the more I was able to understand how we were putting the race together one brick at a time. In terms of training time, for the 70.3, I was aiming for about 1 – 1.5 hour per day plus I always made sure I got in at least 1 long ride on a Saturday morning, and then 1 long run on a Sunday evening. As we got closer to the IM, this increased a little with double sessions on a few days and longer rides on the Saturday. Inevitably with travel or family I would have to take rest days too, but I didn’t plan rest days. Because I was consistent thoughout the programme, Shem encouraged me to listen to my body and to take a day off when I needed it. In the 6 weeks leading up to the IM Shem also had me do a couple of big 3 day Endurance Blocks to get the body used to the onslaught. In hindsight these were invaluable. 1. It is meant to be fun. It’s too easy to fall into the trap of pushing yourself to your absolute limits every single workout (I put myself in that category sometimes). At the end of the day, that’s not much fun – remember to take the time and actually enjoy your training, leave some in the tank for tomorrow. 2. Just putting in the hours is not sufficient endurance training, you need to consider a more holistic approach – strength, nutrition, core, mental, physical all come into it. Ignore any of them at your peril. Really there is little point having a coach if you are not communicating. Anyone can google a training plan, put on the runners and get started, but it’s the tailored discussions around your specific circumstance where I found the value of a coach was important. Sometimes a coach will completely change your thinking and have you doing things you would never have done yourself, and sometimes a coach will just give you peace of mind that you are on the right track. An IM is an extraordinary thing to do and you spend a large amount of time on your own training. It gives you time to think and I found myself becoming quite philosophical about it all. There is one absurd moment that sticks in my mind, I had been getting up at 5.30am and getting on the turbo trainer which was set up outside out the back of our house. I was working away pre dawn and absolutely dripping as usual when one by one my three boys came out in their pajamas and stood there in front of me very puzzled by it all and despite me suggesting they go and find some breakfast they proceeded to pepper me with unrelenting questions – What are you doing? Why are you doing that? Why don’t you just stop? How come your bike is not going anywhere? Why would you ride a bike that doesn’t go anywhere? Can I listen to your earphones? Why are planets round….. and so on. It was a beautiful moment that highlighted to me not to ever take myself too seriously and keep perspective on what’s really important. For me the benefit of a coach was having someone that knew my exact situation at every point of the journey and could then recommend what the next step should be. Someone that knew what training I had done in the last 3 months and therefore knew whether I should ramp up or take some time off. Don’t get me wrong – you as the athlete still have to do every single one of the hard yards in training, but having a guide there to make sure the hard yards you are doing are heading you in the right direction and building you to be ready for your race at exactly the right point is invaluable. 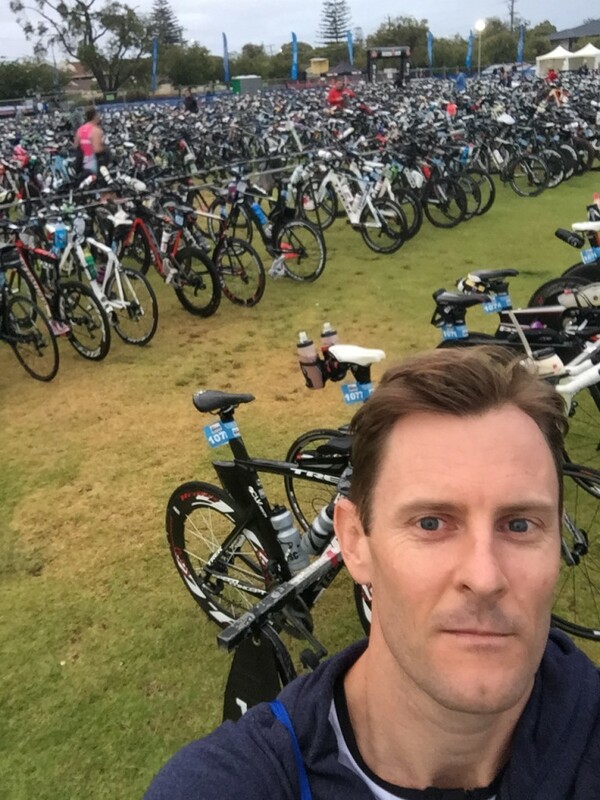 Further for me, as this my first foray into 70.3 and IM, I had a thousand little questions about transitions and bikes and tyres and nutrition and so on, which Shem had covered every time. My advice when choosing a coach, is make sure you choose someone that takes a genuine interest in your situation, how much time you have to train, what you enjoy, what is your work and family situations, what are your fears etc. No doubt about it. I left a lot of time in that swim and in the transitions, plus this is only the beginning!